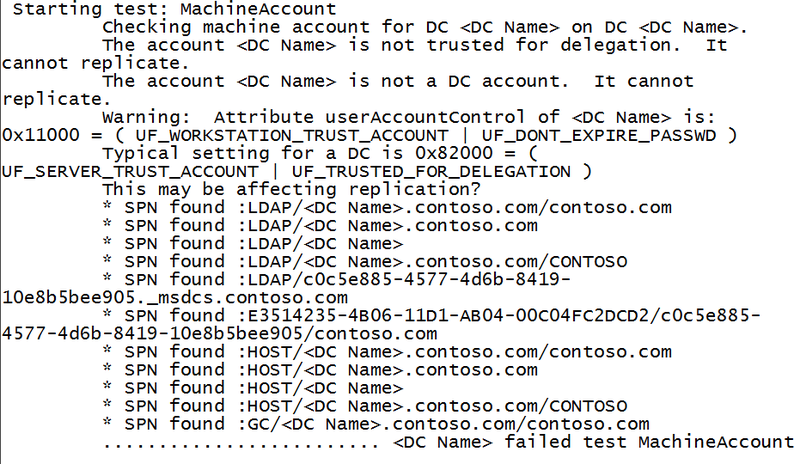 There is 1 domain controller in my product environment. 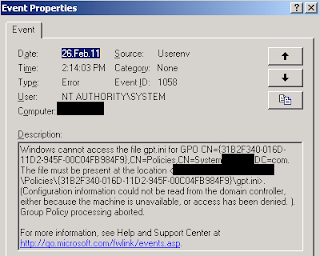 Being installed Windows Server 2003 with service pack 2, the server was installed Group Policy Management Console. 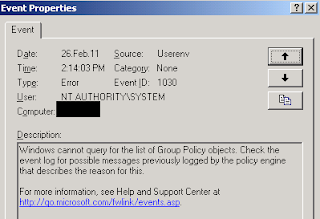 When I try to edit a group policy, the following group policy error will be displayed. 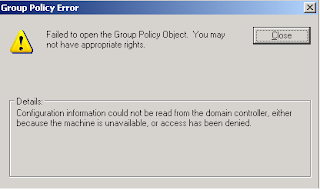 Figure 1: “Failed to open the Group Policy Object. You may not have appropriate rights"
The Group Policy can’t be modified. 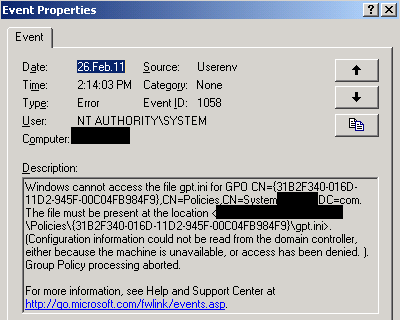 At the Event Viewer, select “Application” log. The server generates the error about Userenv. Then I launched the Command Prompt, enter “dcgpofix”. 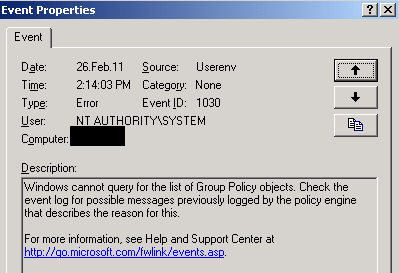 The Group Policy also can’t be fixed. 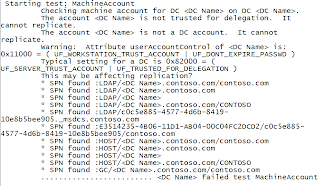 I try to following the method of KB837513 to fix my domain controller. a) Method 1: Fix Domain Name System (DNS) errors. b) Method 2: Synchronize the time between computers. c) Method 3: Check the Access this computer from the network user rights. d) Method 4: Verify that the domain controller's userAccountControl attribute is 532480.
e) Method 5: Fix the Kerberos realm (confirm that the PolAcDmN registry key and the PolPrDmN registry key match) (Windows 2000 domain controller only). f) Method 6: Reset the machine account password, and then obtain a new Kerberos ticket. 2. Verify your domain controller IP setting, make sure that the DNS setting of the domain controller is configured correctly. 3. Enter “netdiag /v” to generate the result of your DNS test. 4. Verify that the time is correctly synchronized between domain controllers. Additionally, verify that the time is correctly synchronized between client computers and domain controllers. 5. 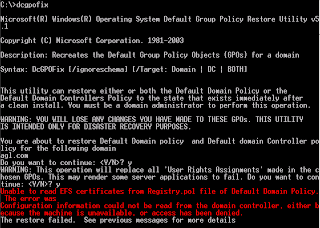 At the domain controller of PDC role, login as Domain Administrator. 7. Open “GptTmpl.inf” by Notepad. 8. Navigate to “SeNetworkLogonRight”, add the security identifiers for Administrators, for Authenticated Users, and for Everyone. Remark: Administrators (S-1-5-32-544), Authenticated Users (S-1-5-11), Everyone (S-1-1-0), and Enterprise Controllers (S-1-5-9) use well-known security identifiers that are the same in every domain. 9. Navigate to “SeDenyNetworkLogonRight”, remove any entries to the right of the “SeDenyNetworkLogonRight” entry. 10. Still in Domain Controller, launch “ADSI Edit”. 11. Expand “Domain > DC=contoso,DC=com > OU=Domain Controllers”. 12. Right-click “CN=<DC Name>”, select “Properties”. 13. Check “Show mandatory attributes”. 14. 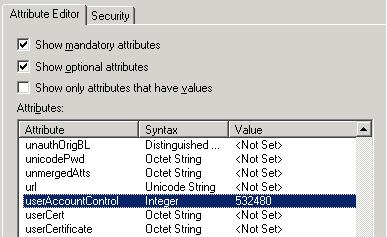 Select “userAccountControl”, click “Edit”. 15. Under “Value”, type “532480”. Remark: 532480 is the default of Domain controller. 17. Still in domain controller, launch Service console. 18. 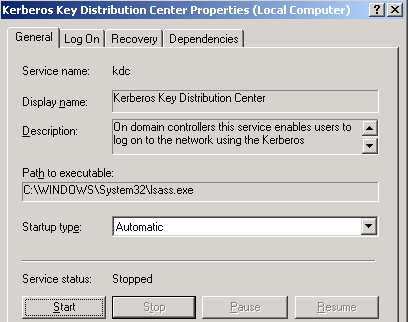 Navigate to “Kerberos Key Distribution Center”, stop the services. 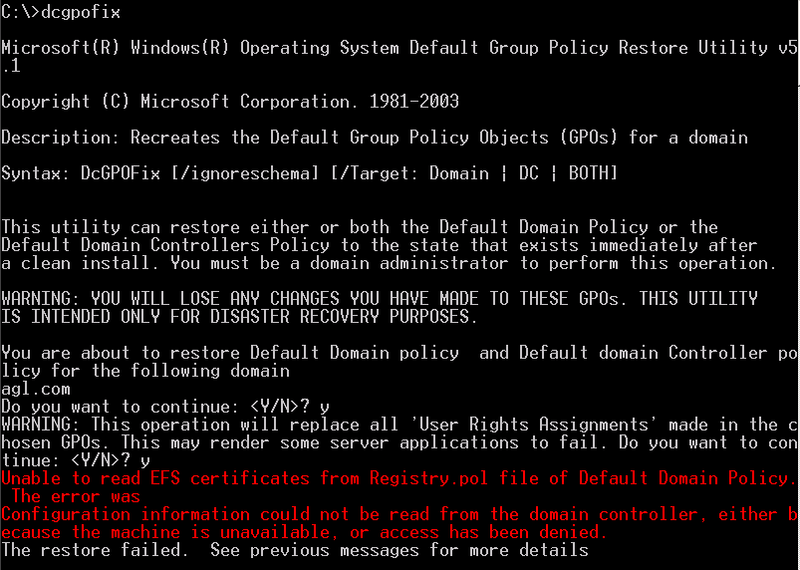 Remark: If your domain is more than 1 domain controller, you have to follow the method 6 of KB837513. 20. Restart the domain controller. As a result, the GPO error and the computer account are fixed. Now my problem had solved from this procedure. The same issue like previuos Anonymous.